Happy Tuesday crafty friends! It's the 15th and that means it's time for a new A Blog Named Hero Challenge! 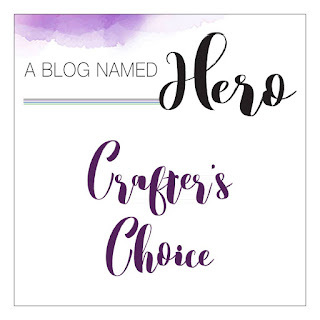 This months it's Crafter's Choice or Anything Goes, yay! 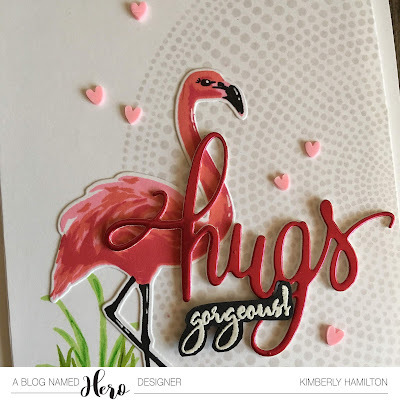 I chose the beautiful Hero Arts Layering Flamingo as my feature stamp on this card, I just love the lines of this flamingo :) I started by stamping the body of the flamingo on Neena 80lbs cardstock and die cut it before stamping the legs. I find it offers a more exact placement for the legs. Once that was complete, I chose the Bold Sunburst large cling stamp for my background and turned it upside down to get the best possible stamping. I inked it up with some Fog ink and stamped my panel upside down and put pressure over it with typing paper. 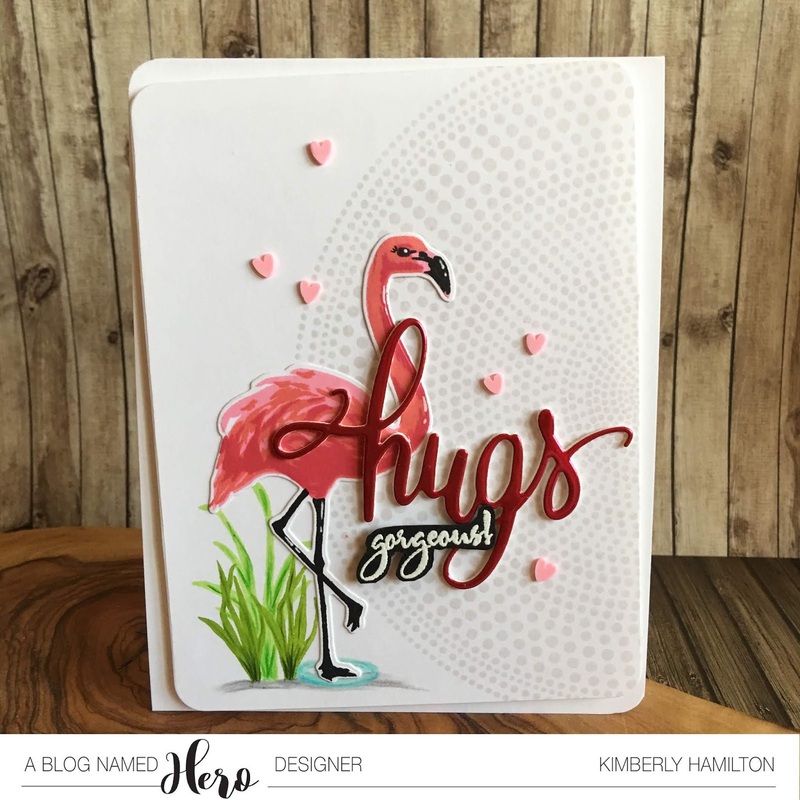 I die cut the panel with the Hero Arts Rounded rectangle dies and placed my flamingo on top to stamp the puddle and leaves. I added some colored pencils on the leaves and puddle for added dimension and then glued my flamingo. I die cut my hugs sentiment from a deep pink mirror cardstock and embossed the gorgeous sentiment also from the layering flamingo set in white on black cardstock and added a few candy hearts to the panel! Thanks so much for taking the time! All products are listed and linked below, affiliate links used at no extra cost to you! 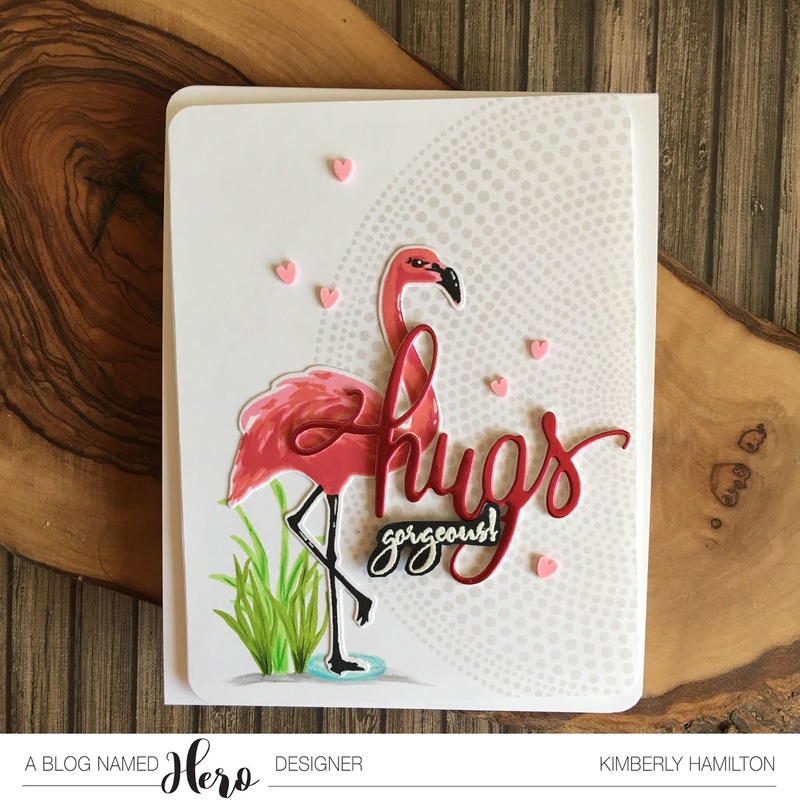 This makes me want to create a card with that flamingo right now! Love the soft background with it!